I love words. I've made that pretty clear with all my ramblings about reading and writing, but I don't think I ever mentioned my least favorite word-related activity. But, here I am, spoon in hand, lapping up about ten years worth of them. Let me tell you a story. When I was in graduate school, I was poor. The poorest. I was working two jobs and going to school full time. Between books and rent, the amount of dollars left in my pocket would probably not have bought you bag of name-brand potato chips. All the plates spinning in my life were required to keep spinning with minimal wobble and as little expense as possible or all the plates would crash down to break around my worn-out shoes. Transportation was a very, very important plate to keep spinning because it is nigh to impossible to have two jobs and go to grad school in three separate corners of a large city with practically non-existent (at the time) public transit. I was lucky enough to have a car. This was my 1997 Mazda 626, purchased used by my mother and graciously given to me. 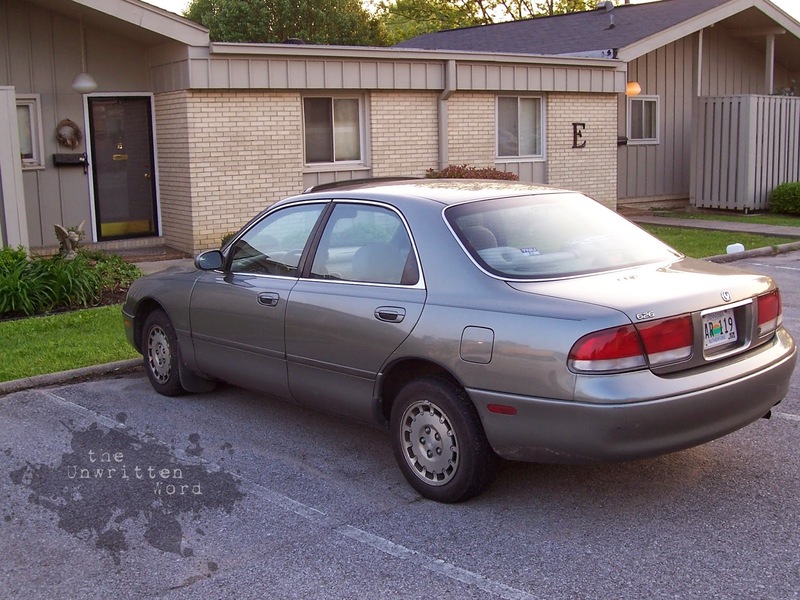 I was so grateful for this car, which replaced the 1994 Nissan Altima I paid for myself and loved with all my heart until it met its demise in an accident. I never got over that car, and as grateful as I was for the Mazda, I could never love it. I tried at first. The Mazda was nice enough. There was a sunroof, which was pretty cool, and the air-conditioning vents even oscillated back and forth, which I've never seen before or since. The seats were comfortable, it wasn't ugly, the radio sounded decent, and for some reason it always kinda smelled good even though I was no champ at keeping it clean. This car was important, vital even, but I never doted on it like I did my old Altima. It was just transportation. This darn car gave me more trouble than any other piece of machinery I have ever owned. The windows wouldn't roll up when it was cold outside (which was bad when I was surviving on Wendy's drive-thru side salads and baked potatoes). The electrical system had a serious personality disorder, with lights working one minute and not another. The check-engine light was on from the day we brought it home and no one we took it to could figure out what to do to fix it. The air conditioning stopped working in the middle of summer while I was taking classes--I remember commuting to campus with all the windows down (praying it wouldn't rain because they probably wouldn't roll back up) and still arriving drenched in sweat. In my small advanced statistics class everyone sat on one side of the room, and I would slink across and sit by myself on the other. When my professor once asked me why I didn't sit with the rest of the class, I answered, "Because I am a merciful being." He was standing pretty close to me by then, and he didn't ask any further questions. I could go on and on about all the issues I had. 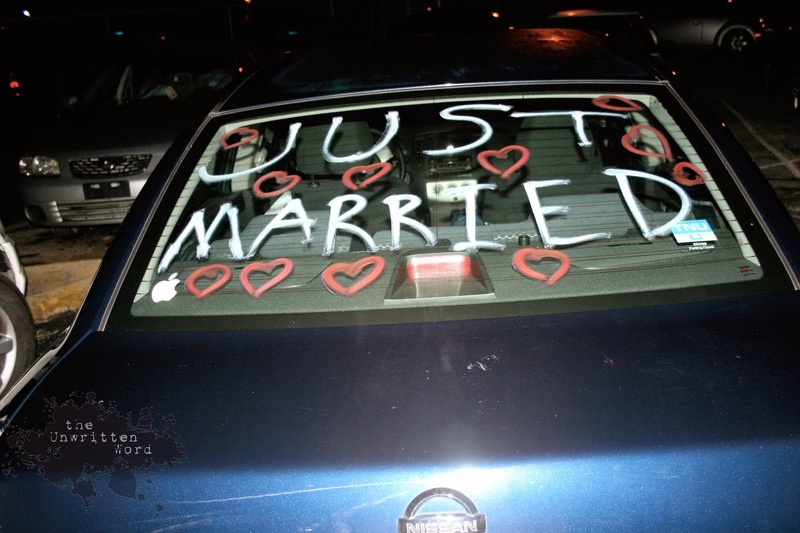 It was towed out of more parking lots than I have fountain pens (and that is significant). It overheated. It leaked EVERYTHING. It bucked like a rodeo bronc on the interstate. It shuddered, shook, and eventually started stalling at red lights and stop signs. It sucked the lifeblood out of my tender bank account over and over, but never came back from the shop any healthier. It panicked me time and time again, threatening my delicate, chipped, precariously spinning life-plates. After my Mazda's final tow, I was so frustrated with it that I wasn't even surprised when the mechanic told me it was basically totaled before he had even popped the hood due to a complete electrical system failure. The cantankerous thing finally died with 97,000 begrudged miles on it. 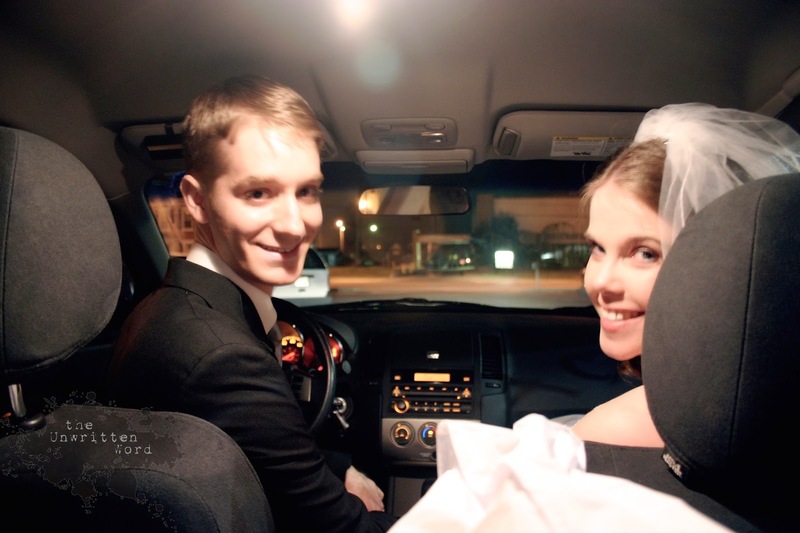 Right then, I didn't think much about all those tired nights of working the closing shift at the bookstore when it carried me home with relative peace, or the fact I was leaning on it when I first met my husband, and in the driver's seat when we had our first kiss. I didn't think ten years later I would still be laughing with my old roommate about how we both had to crawl underneath it in our pajamas while chasing our kitten. I didn't know then that I would someday hold tight to the memories of driving a good friend to and from work in that car after he would die much too young. I didn't know a lot of things. I just told my mechanic to get it limping enough to go to a dealership so I could kick it down a hole and throw the keys in after. 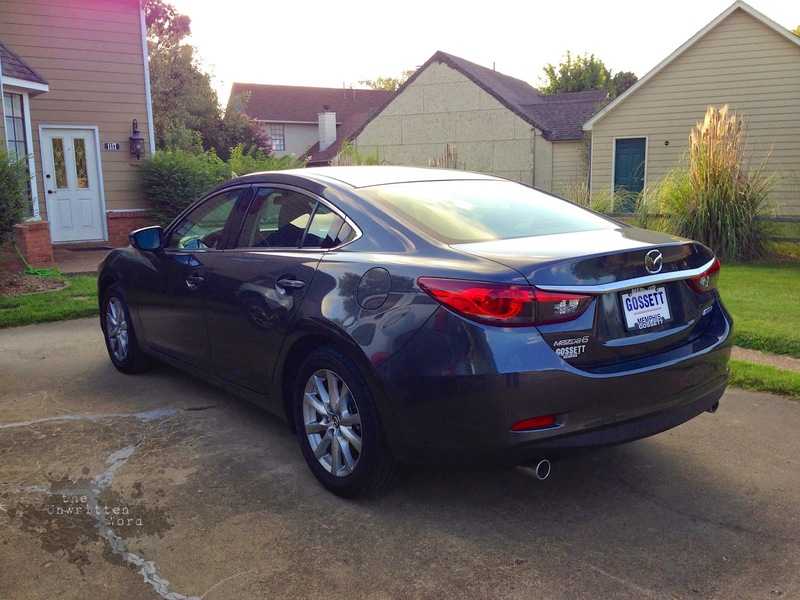 My next car was another Altima, and I set about licking my Mazda-induced wounds. Now that I was riding high with an air conditioner that worked and windows that went up and down when I wanted them to, I was full of talk. "Never again, Mazda," I said over and over. I pitied other Mazda drivers on the road. "Poor thing," I thought as I zipped past them. I heard other people talk about this or that good old Mazda, but I shook my head. "Nope," I said. "Never ever ever ever will I ever ever ever own another Mazda." That gulp you heard was me eating those lemony, Mazda-hating words. My good old Altima finally reached the end of the line and the time came to trade up to a new model. (When the air conditioning goes, so too must I.) Husband and I have had car-fever for the last several months, agonizing over the healthy tension of "I'm totally still young and everyone should have a sports car once in life, right? RIGHT?!" and "Well, sedans are responsible. We're responsible. Right? RIGHT?!" We drove things. We watched reviews. We kept our minds open and thought carefully about every angle. Except Mazdas. Because I am not a hypocrite. This is my new Mazda 6 and I LOVELOVELOVE it with all possible car-related love. The best 2014 Mazda 6 on Earth. Promise. This car has bells, whistles, windows that work, and air conditioning so strong and cold it could form snowflakes. It drives like heaven, the price was great, it is about as safe as anything can get, and it is half sports car, half sedan. In other words, it is perfect for us. 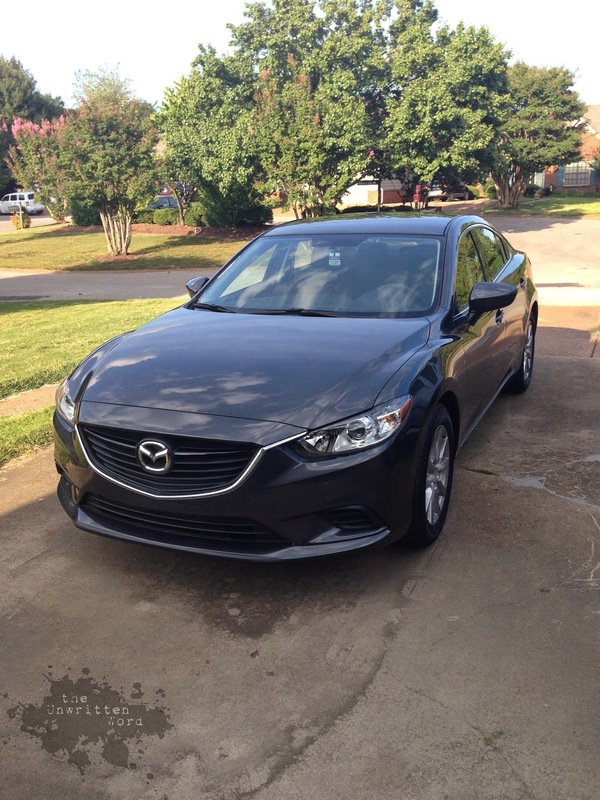 Welcome to the family, Mazda 6. It is a valuable object indeed that makes a person stop and pick her teeth for signs of crow. My mouth was full of it, and I'm happy to say I have swallowed it all. Mazda, I take it all back. This is a mighty good car, and I'm mighty proud to own it. Whether we're talking cars, sports, politics, or people, never be too proud to admit when you're wrong. You could end up missing out on a lot of good past and a lot of good future.